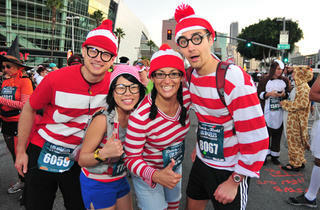 Put those Halloween hammies to work this October 26 for an All Hallows Eve-themed Rock ’n’ Roll Half Marathon Downtown. 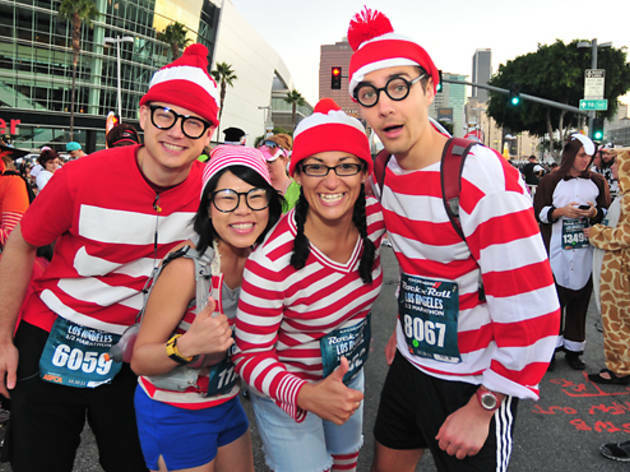 Starting at LA Live, the race will put a ghoulish spin on the streets of DTLA, complete with costumed live bands and cheerleaders. Runners are encouraged to don their favorite Halloween getups as well, if not for good sportsmanship, than for the chance to win the race's official costume contest. But if running 13 miles caked in fake blood doesn't sound like your cup of tea, participants can also sign up for the 5K that takes place the same day. Make sure to register online, and the earlier, the better—registration fees increase the longer you wait to sign up. Don't feel cheated if you end up paying more for registration, though: Proceeds from the event benefit the ASPCA. So, if physical fitness and/or competition aren't motivation enough, just think of the puppies.